A chic 1910-1912 Edwardian orange velvet hat. The hat is decorated with a large black ostrich feather. 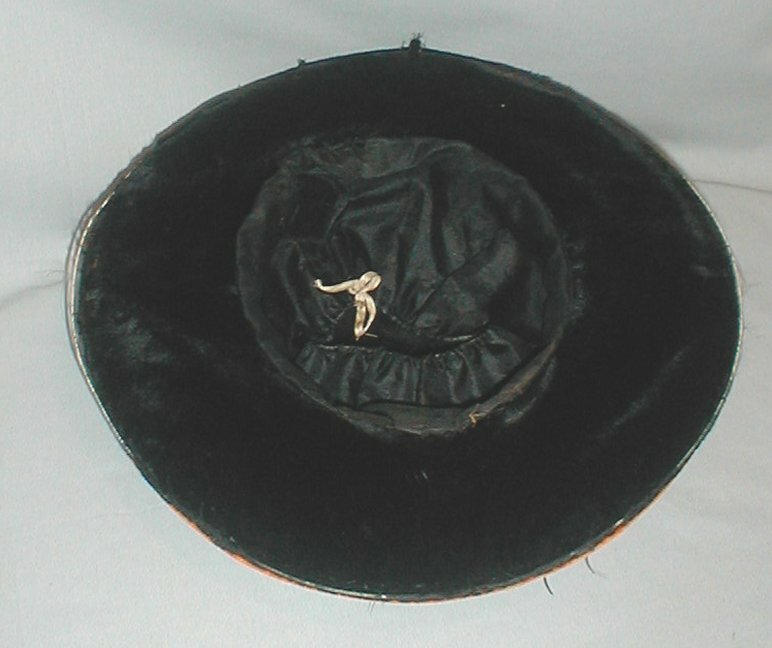 The under brim is made of black velvet. 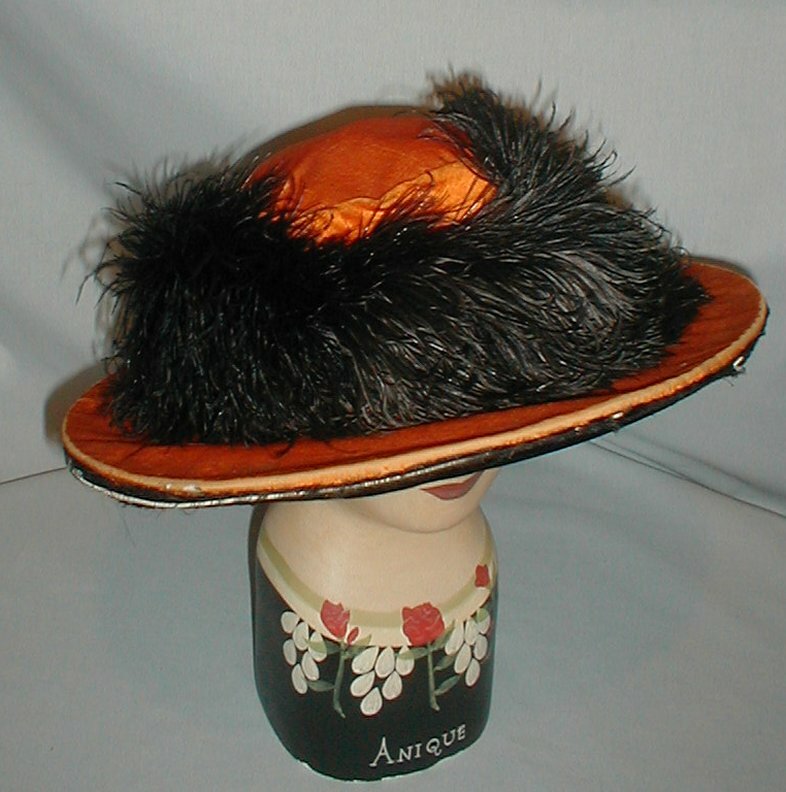 The inside crown is lined with black cotton. 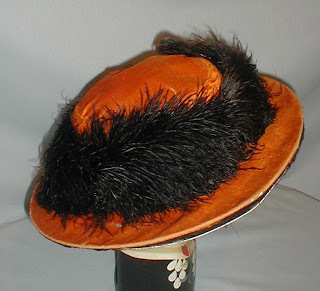 There is wear to the velvet along the edge of the brim and the wire frame at the edge of the brim and will need to be fixed. There are two ½ inch splits in the black velvet fabric. All is reflected in the low reserve. Head opening 23 Width 15. 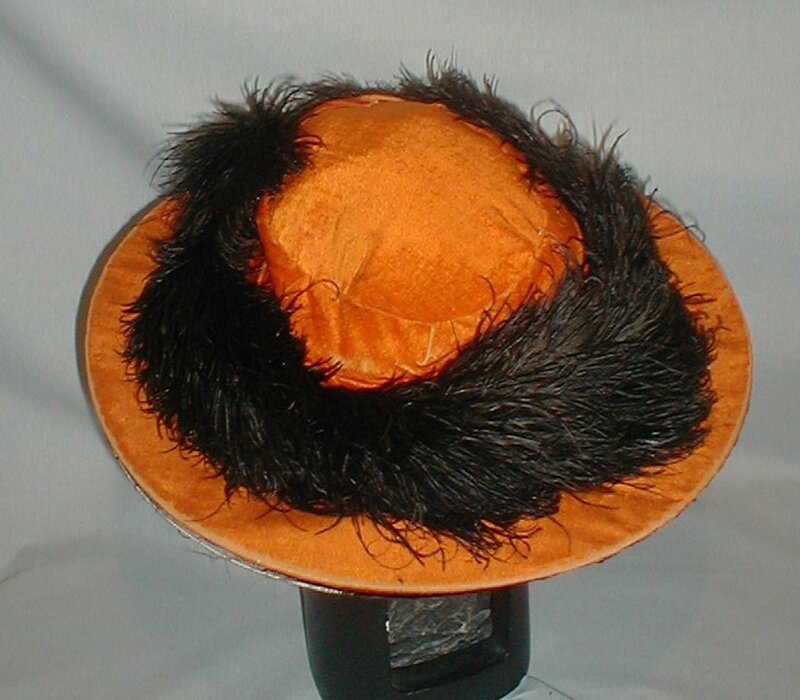 I'd like to know how this hat pulls off the orange and black without looking like it's getting ready for Halloween.